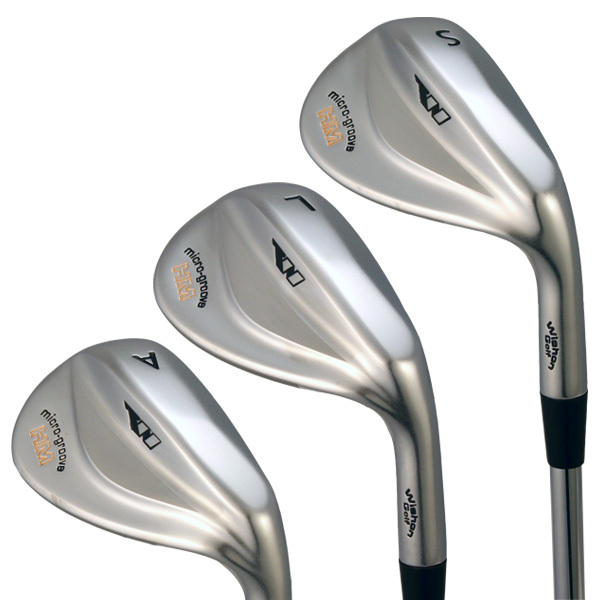 The popular HM Series wedges have been re-designed with a unique custom sole grind to increase playability for more types of wedge shots. New Zero Bounce heel grind removes the bounce from the heel end of the sole for more consistency when the face is opened to hit finesse and cut shots. Front sole Knock Down grind allows golfers to more easily play low, driving, hands forward shots without digging the leading edge into the ground as much. Center to rear sole grind offers conventional bounce for normal shots from all lie conditions. CNC milled face with Micro-groove scorelines to get additional backspin on short accuracy shots. Beautiful pearl NiCr plated finish over the 8620 carbon steel body offers a soft feel with a long lasting appearance.